TransLink is moving ahead with proposals to begin planing and construction of a Surrey-Langley Sky Train line instead of LRT. If you haven’t heard, Surrey is dropping its light rail transit project with the intention of replacing it with a new SkyTrain line. The plan is to extend the track from King George Station to Langley Centre along the Fraser Highway, though the amount of time this will take is so far unclear. 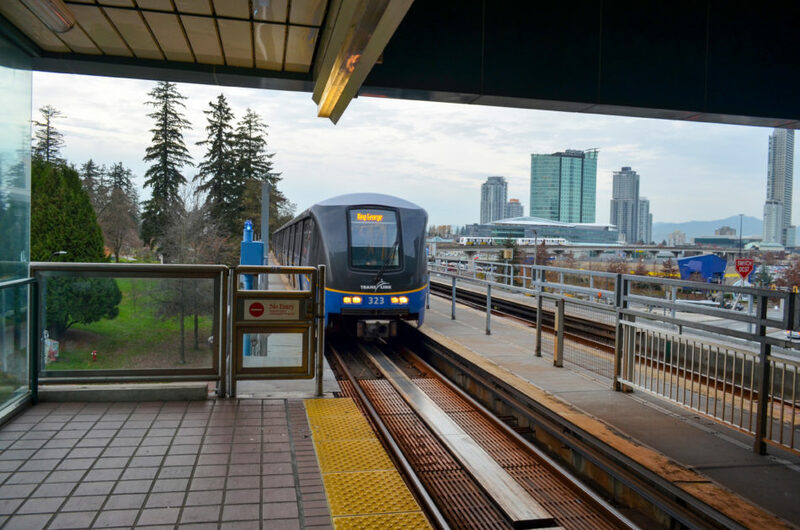 In 2017, at the request of the provincial government, TransLink created a preliminary outline of the cost of building the SkyTrain line and determined that it would run about $2.9 billion, or $1 billion more than the LRT project. Despite the opposition citing the growing costs, and the fact that moving rapid transit away from King George and Guildford will stunt development along the arterial road, the Mayor’s Council voted to suspend LRT development this past week. Naturally, since the only suggested alternative to LRT has been the SkyTrain plan, it looks like TransLink is going to get to work making that happen as soon as possible. Still, not everyone is happy. Earlier this year, a rumour was going around that one of the reasons the previous city council was advocating for LRT was that it would keep the SkyTrain terminus in Surrey. Critics of the decision to extend the line worry that doing so will direct traffic through the city instead of into it, increasing the likelihood of Surrey becoming a “bedroom community”, where people own homes but work and play elsewhere. Instead of addressing the reasons why people don’t want to spend time in Surrey—like the lack of an entertainment district or employment opportunities in certain industries—the idea was to funnel people into the LRT instead of letting them ride past the city on a SkyTrain. There’s also the fact that money that has already gone into planning for the LRT. Millions of dollars have essentially been wasted, though arguing that this is a reason not to spend more on SkyTrain development sounds like an exercise in sunk cost fallacy. Linda Hepner’s council tried to ram through a huge project despite the protests of a large part of the population who didn’t want LRT, leaving it wide open for someone to turn it into a wedge issue right before the election. This is exactly what the new mayor, Doug McCallum, did. Personally, my favourite objection to the SkyTrain construction is that it will have what TransLink reports hilariously call a “negative visual impact” on the urban design. I totally agree. Elevated rails are ugly, and there’s not much we can do about it. It’s hard to believe that the construction cost for the SkyTrain can be covered by the existing budget for the LRT, as McCallum says. Though I find it hard to take politicians at their word, I am inclined to believe that he at least knows what he’s talking about here. McCallum was Chair of the TransLink Board of Directors from 2002 to 2005, back when the Canada Line from Vancouver to Richmond was given final approval, and he was actually working with TransLink while they sought funding for the project in 2005. Oddly enough, McCallum is one of the few people involved in this debate who actually has specific experience in financing and developing a SkyTrain extension. Hopefully, that will help as TransLink navigates this process. It’s inevitable that the people who support establishing LRT are at odds with the people who support building a SkyTrain expansion, but nobody wants to waste even more time and money, and that’s something we can all agree on.